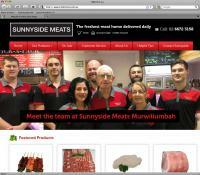 Sunnyside Meats was looking to moving into the online market but wasn’t sure how to go about it. TMD Online was recommended to me and the service that was given to me was outstanding. Trent and his team were very responsive and professional from start to finish, the support during and since the project was completed has been excellent. The website was fully customised with the NetRANGER CMS specially to suit how we sell our products which is easy for us to use and very customer friendly. I can add or update the products on the site anytime. All the training was provided, I was never left in the dark. I would like to thank Trent and his team for their support and the great website. l strongly recommend using TMD Online for your online project, large or small. I look forward to working with them in the future.